Fuzzy Systems Design Principles is a valuable guide and reference for practitioners looking to employ fuzzy logic concepts in the design and deployment of actual fuzzy systems. This book concentrates on the basic If–Then fuzzy algorithm, one of the most popular algorithms implemented today. The If–Then structure is applicable not only to many types of problems such as control, classification, modeling, pattern recognition, and diagnostics, but is also comprised of building blocks used in the development of fuzzy systems used in today s electronic and software products. 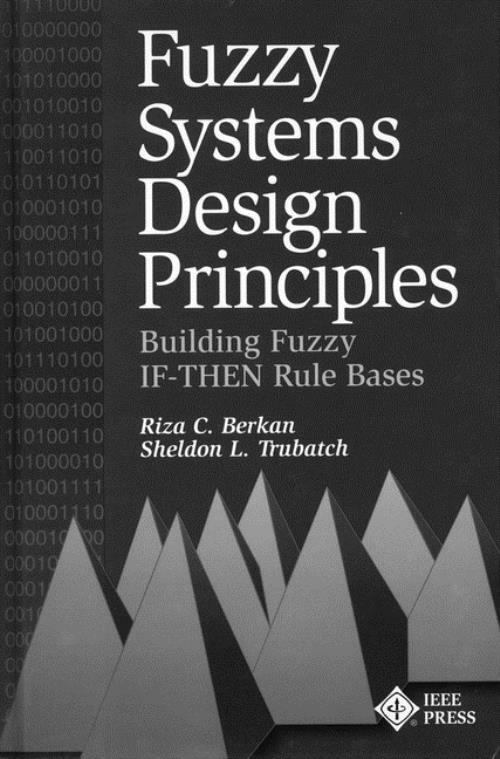 Brimming with tips and insights into the design process, Fuzzy Systems Design Principles presents a balanced mixture of theory and application within a typical design framework. Readers will learn to make informed choices when selecting design options and to verify chosen principles with commonsense reasoning. The design principles are presented as "things to consider" rather than as "things to do." In this way, the reader′s creativity is not restricted, and one universal philosophy, which does not exist, is not claimed. Topics covered focus on the identification and resolution of the practical design issues which are often considered "beyond the scope" in much of the current literature. These discussions originate from a set of linguistic design criteria that define the objective patterns frequently used by the designers. In light of the linguistic design criteria, readers will be able to employ heuristic solutions in a systematic manner by using the suggested mathematical representations. 1.1 Partial Truth and Fuzziness. 1.2 Foundation of Fuzzy Systems. 1.3 Fuzzy Systems at Work. 1.5 How to Use This Book Effectively. 2.1 Crisp Versus Fuzzy Sets. 2.2 From Fuzzy Sets to Fuzzy Events. 2.3 Fuzzy Logic and Linguistics. 2.6 Properties of Fuzzy Sets. 2.11 Linguistic Variables and Logic Operators. 2.12 Inference Using Fuzzy Variables. 2.14 Fuzzy Systems and Algorithms. 2.16 Adaptive Fuzzy Systems and Algorithms. 2.17 Expert Systems Versus Fuzzy Inference Engines. Chapter 3: The Basic Fuzzy Inference Algorithm. 3.4 Evaluating Antecedent Fuzzy Variables. 4.2 Fuzzy System Design and Its Elements. 4.3 Design Options, Processes, and Background. 4.6 The First Principle of Fuzzy Inference Design. 4.8 Application of the Design Criteria. 4.9 Systems Ontology and Problem Types. 4.10 Useful Tools Supporting Design. Chapter 5: Fuzzy Variable Design. 5.1 Introduction to Fuzzy Variable Design. 5.2 Data–Driven Fuzzy Variable Design. 5.3 Linguistic Fuzzy Variable Design. Chapter 6: Membership Function Shape Analysis. 6.1 Introduction to Shape Analysis. 6.3 Membership Function Line Style. Chapter 7: Composing Fuzzy Rules. 7.3 Logic Operator Design Issues. 7.4 Rule Formation Per Inference Type. 7.7 Membership Function Shape Effects. 8.5 Designing a Defuzzification/Decomposition Process. 8.6 Interpreting Output Fuzzy Sets. Appendix: The Basic Fuzzy Inference Algorithm.